Before and After: Dorsey is taking Twitter's top seat with a new look that's got people talking. He was just named the head of a $24 billion company, and he's already CEO of another outfit worth an estimated $6 billion. But his mother is still annoyed at him. 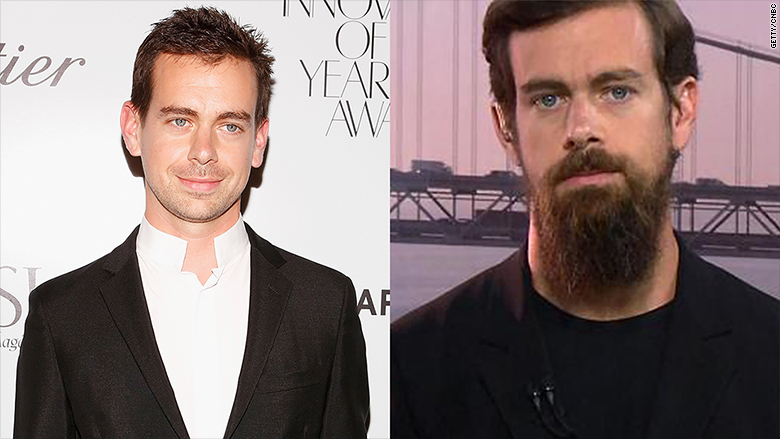 Ever since Square, Inc. CEO Jack Dorsey was named the interim CEO of Twitter (TWTR) yesterday, everyone is talking about is his long, scraggly beard. Including his mother, who really wants him to shave it off. "FYI.. Not a fan of the beard. [Jack] has a great face. Like to see it," Dorsey's mother, Marcia Dorsey, tweeted Friday morning. A national television appearance on CNBC this morning sparked a flurry of social media buzz about his facial hair, bringing fans and critics out of the woodwork. Many voiced their opinions on Twitter, which he co-founded. BuzzFeed writer Will Alden - "[I]magine a boardroom confrontation between Dorsey and Icahn? May the best beard prevail?" Mashable - "Twitter CEO Jack Dorsey sparks shock and awe with lush corporate beard." 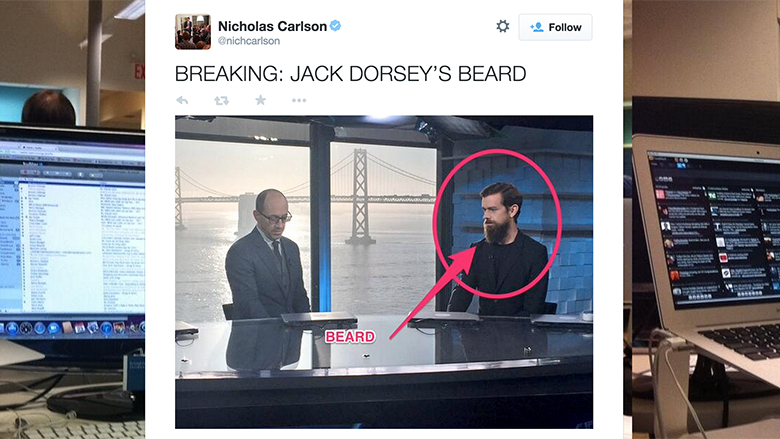 Business Insider's Nicholas Carlson - "BREAKING: JACK DORSEY'S BEARD"
Fusion's Felix Salmon - "OUT: Chase Carey's mustache IN: Jack Dorsey's beard Conclusion: New Media ain't got nuthin on Old Media"
Dorsey appears to be taking all the beard buzz in stride. "People shouldn't be judged by their looks," he told CNBC this morning.